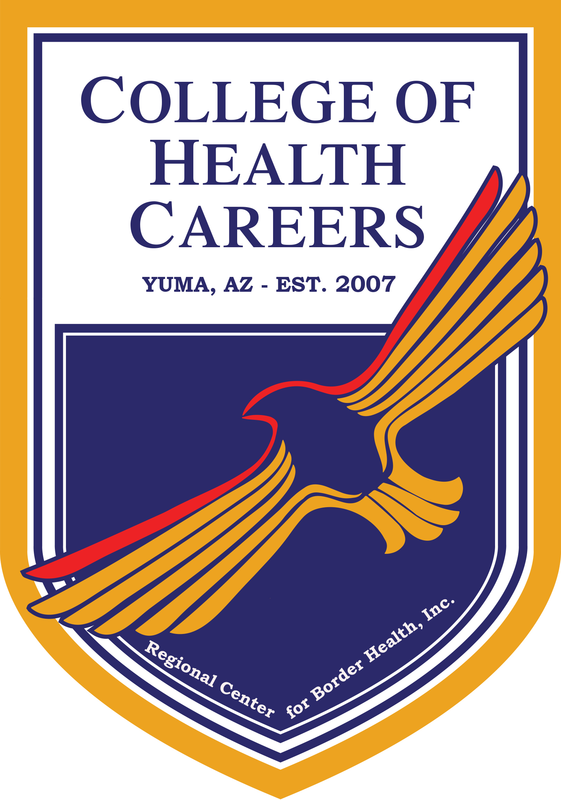 Nursing Assistant - College of Health Careers - Regional Center for Border Health, Inc. The Nursing Assistant Program is a 6-week program of full time education which includes a total of 153 hours of instruction (as required by the Arizona State Board of Nursing). The program is designed to prepare students for certification as a nursing assistant. A nursing assistant is a licensed caretaker who assists in performing activities of daily living to persons in skilled nursing facilities, hospitals, and/or doctor's offices. They are supervised by Licensed Practical Nurses and Registered Nurses in the healthcare setting. The nursing assistant performs delegated procedures that are commensurate with the Arizona Board of Nursing Nurse Aide Practice Acts. This program is licensed by the Arizona State Board of Nursing. Ability to pay or qualify for sponsorship from area employment partners/governmental agencies. Ability to fully participate in classroom, laboratory, or clinical setting program activities. Students will be provided an overall orientation of Regional Center for Border Health, Inc./College of Health Careers and complete required student file forms. During this orientation, students will be provided a short Medical Terminology course with an evaluation at the end of the course to measure understanding. Students will be taught how to "break down" medical terms using prefixes, root words and suffixes to promote a basic understanding of the terminology used in the medical field. Students will be introduced to the Health Care Agencies they will perform the majority of their skills in. Students will learn about the essential duties, the different regulations that apply to their career path. Students will compare & contrast their own ethical beliefs with those found in the medical field. Privacy will be discussed and confidentiality regulations reviewed. During this course, the students will learn about how infections occur, how they may be transmitted and how to prevent the spread of pathogens. Students will learn and understand Standard Precautions and learn about Blood Borne Pathogen standards as it applies to the workplace. Students will begin the learning process of basic nursing skills by viewing demonstrations and then performing the skill under the supervision of the instructor/assistant. By learning these skills early in the program, the skill will be reinforced for appropriate practices throughout the program. During this course, the students will learn about the Anatomy & Physiology of the Human Body. Students will learn and understand the basic interactions that occur in the normal person. Students will be able to recognize common body disorders by comparing the "normal" to what is actually observed. Students will learn about the different vital signs, learn how to measure, document and recognize abnormalities within the vital signs measured. During this course, the students will be taught the growth and developmental process from birth through end of life. Students will be able to recognize the different psychological needs at different stages of the life cycle. Students will learn about human sexuality and how this applies in health care settings. Students will learn about common mental health changes that occur with aging and how spiritual needs can be supported. Patients have specific personal hygiene needs. Students will learn how appropriate grooming techniques are applied to assist the resident with their ADLs. Students will learn about personal hygiene needs and learn techniques on how to assist the patient with meeting these needs. Students will learn the importance of healthy urinary and bowel elimination patterns, and how to obtain specimens of each. Students will learn how to test for specific problems from these specimens. Students will learn about common disorders within the gastrointestinal tract, bowel disorders and common urinary disorders. Students will learn about proper nutrition and how nutrients help maintain homeostasis in the human body. Students will demonstrate knowledge of assisting residents with drinking of liquids, eating meals, setting up food trays and observing any refusals by the resident. Students will be able to recognize common dietary needs such as consistency alterations. Students will be able to demonstrate pre/post-operation cares regarding fluid intake and output measurements. Students will demonstrate the ability to obtain accurate blood pressures as they are assigned. Students will learn about wounds, how they occur, how they are treated and how to prevent pressure ulcers. Students will review the respiratory system, understand the gas exchange in the lungs and at the cellular level. Students will be able to recognize oxygen demands in patients with common respiratory system disorders. Students will learn to report, document and assist the nurse in meeting these oxygen needs. Students will assist with the admission/ discharge process and learn what their role is during this process. Students will be able to assist the nurse with hot/cold applications, wound cares and physical examinations. Students will learn Cardio-Pulmonary Resuscitation techniques. Students will be able to recognize the emergency when CPR may be necessary. Students will demonstrate CPR techniques on the adult mannequin and child mannequin. Students that successfully test & demonstrate these techniques will be certified at the end of this course. During this course, students learn the difference between rehabilitation and restorative nursing. Students are able to apply rehabilitation techniques to the patient to return them to a prior level of ADL performance. Students using restorative nursing techniques will assist the resident to reach the highest ADL ability within the limits of their disabilities. Students will be able to identify common structural, health and aging disorders and how these disorders may limit the patient's ability to self-perform their ADLs. Typical disorders that commonly present will be discussed. Students will learn how digestive disorders affect the person and how these common disorders may affect the patient's wellbeing. Students will understand common urinary and reproductive disorders in both male and female patients. Mental health disorders that are commonly seen in the residential facility are explored. Common myths regarding aging are discussed and statistical information is provided that disproves these myths. Students will understand and apply developmental theories and how interruptions in this development may lead to developmental disabilities. Students will understand the genetic problems that may occur prior to birth, injuries that may affect the development of the fetus or newborn, how injuries later in life may cause the person to stop the development process. Students will be able to recognize the difference between "growth" and "development". Students will be exposed to end of life concepts as defined by Dr. Elizabeth Kubler Ross and how these concepts may be applied to the patient/family during end of life processes. Students will also explore their own work ethics and how this applies to the duties of a nursing assistant. Students will observe, demonstrate and assist nursing home residents in affiliated facilities. Students will be supervised by their instructor and program assistant. Students are expected to safely demonstrate skills learned in the laboratory setting, apply knowledge gained from lectures and report/document any unusual patient events. RCBH and its subsidiaries are equal opportunity employers in compliance with Title VII of the Civil Rights Act of 1964 and other applicable Federal and State laws.